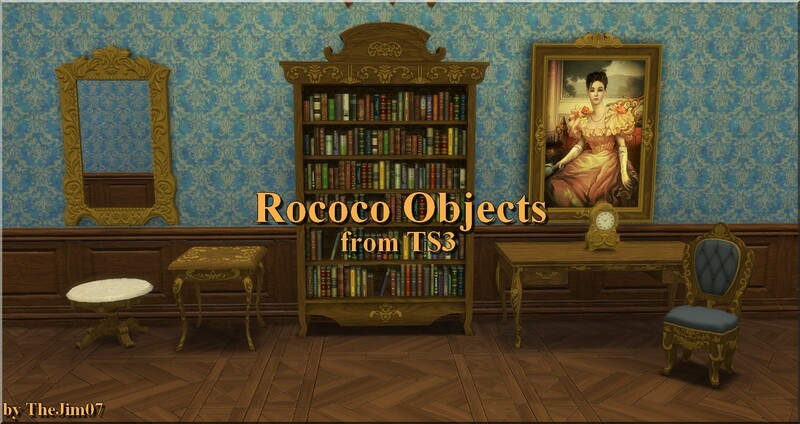 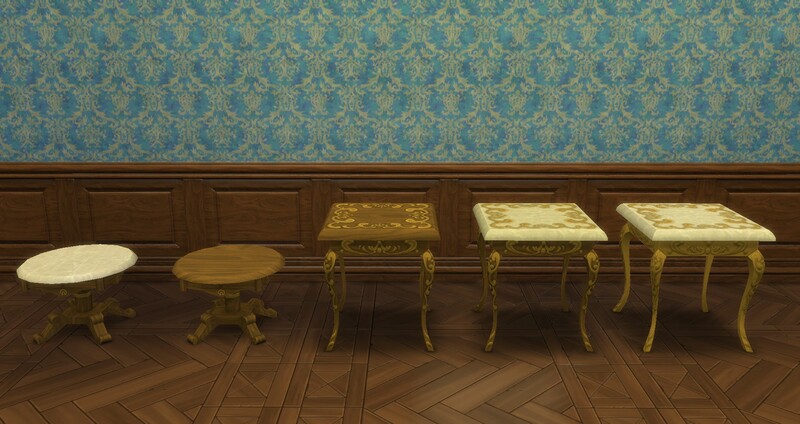 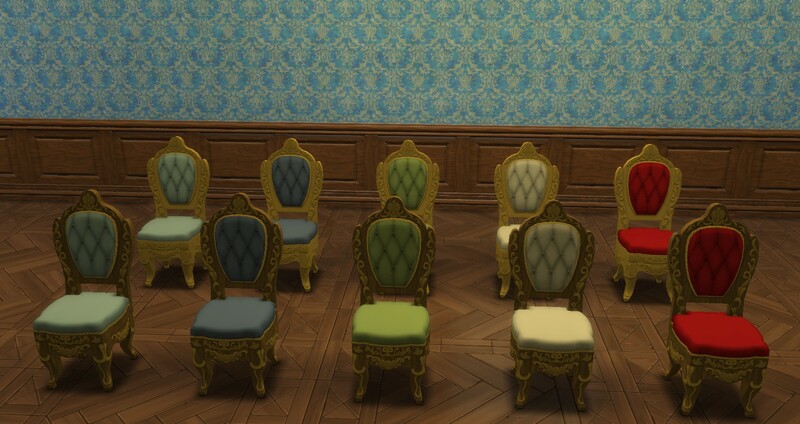 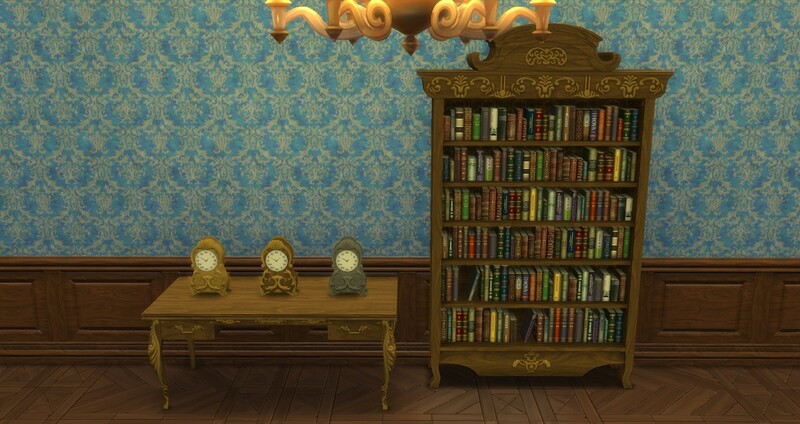 I converted these 8 Rococo objects from TS3. 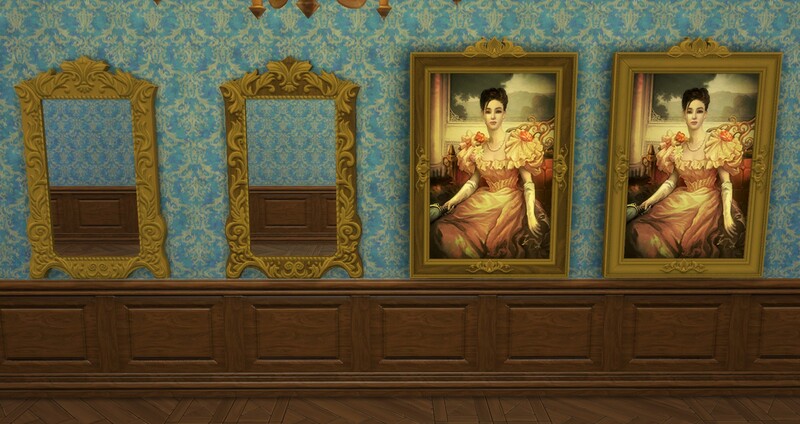 I also modified the "Commissioned by Kings" painting from the original mesh. 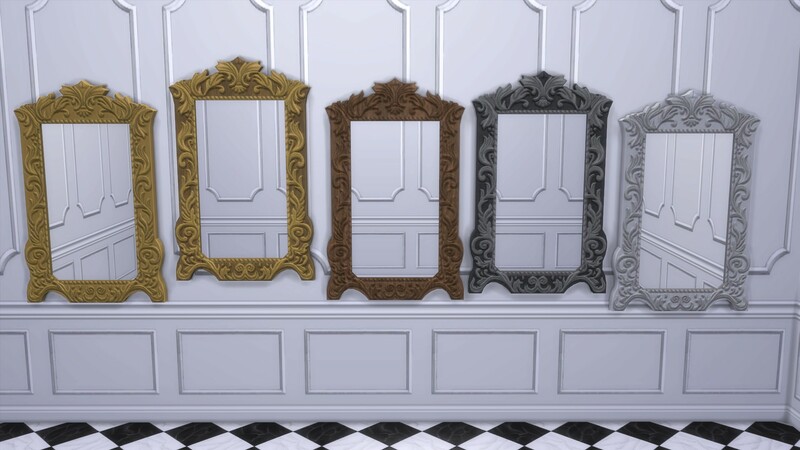 4 june 2018 EDIT : I added 3 swatches to the wall mirror : wood, white, black.